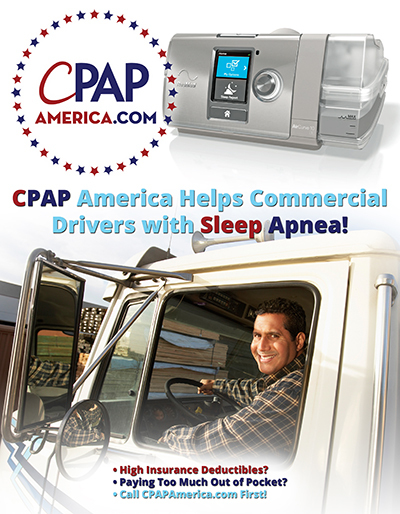 Are you A Commercial Driver With Sleep Apnea? Paying Too Much Out of Pocket? Are you ready for your DOT Physical? Our trained clinicians can download data from SD card or CPAP Machine and send it to your doctor or employer to verify your compliance for a nominal fee (any customer who purchases a machine from CPAP America will receive free downloads for life!). If you hold a CDL, or are required by your employer or doctor to be tested for sleep apnea, contact CPAP America for all of your testing and treatment needs. Articles, and the latest information on Sleep Apnea treatment.